Hallelujah! I'm a living testimony. The surgeon had said they will only be able to take out about 90% of the tumour (because of its location) in a surgery that should last about 4-5 hours with possibility of going paralyzed on the left part of my body if I didn't recover from the post surgical trama of the area of the brain to be operated on (Right Brain Secondary Motor Area). After 9 hours of surgery, they were able to completely remove the entire tumour. But I went completely paralyzed on the left side of my body with zero bowel movements, a tube to leak urine passed to my bladder, swollen brain with a tube to drain the fluids in my skull and my left jaw was locked. However, to the surprise of the surgeon, doctors and physiotherapists, I gained complete movement of my left side within 2 weeks and relearned proper coordinated movement in a month. . 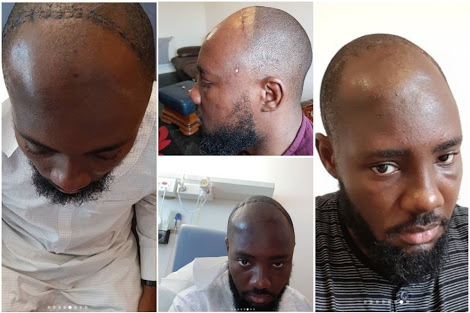 I had suffered from seizures on a daily basis, from late November 2015 and several medical tests unsuccessfully gave wrong diagnosis: from cerebral malaria to ischemic stroke and all-what-not. It was 2 years of devastating ordeal. I even nose-dived into depression at some point and would prefer staying in quiet dark rooms alone. At tipping points, when it became overwhelming, I contemplated suicide and my work life, social life and everything around me was affected but Jesus Christ came through in all of these. I'm healthy and doing well. I've come out of it stronger and blessed beyond what words can express. The removed tumour was taken to the lab and tested. It was a type II, which means I won't require any radiotherapy or chemotherapy. Glory to God! It's 6 months after surgery and I'll be 35 years old in a few days time. I'm forever grateful to God and I thank everyone that stood by me during the journey literally through the valley of the shadow of death. I celebrate life. I pray that you receive the miraculous in your biddings as well in Jesus name. Amen.